Best Wedding Venues in GT Karnal Road, Delhi – Take Your Pick! With thousands of weddings happening in Delhi, on those key ‘mahoorat’ dates it’s hard to find a venue close to home or around the vicinity. Ab Dilli ki shaadi hai, so the most obvious question – kahan hai shaadi? Right? 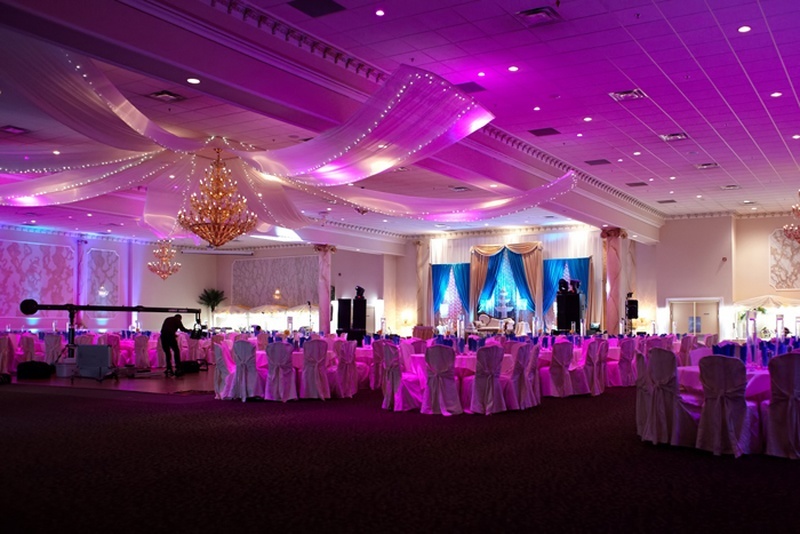 The venue sets the tone for what your wedding will be like. The most expensive line item in your wedding planning spreadsheet and possibly the most impactful, chosing the right venue becomes paramount. We’ve picked some of the best wedding venues in GT Karnal Road to ease your find. Wedding venues can make or break your wedding, so take your pick wisely dear brides and grooms. We all know what Delhi weddings are made of and the high standards they hold. So, how about introducing you to the best of the lot on GT Karnal Road, from banquet halls to wedding lawns, resorts to farmhouses, you’re sure to find at least one or multiple choices for your big day. Let’s roll! GT Karnal’s most exquisite wedding venue The Jehan lets out multiple banquet halls and lawn options to host your larger than life Delhi wedding. The highlight of this venue is their open terrace, which you can book to host intimate pre-wedding options. Imagine hosting your sangeet under a starry sky - magical! The venue offers exceptional in-house catering, decorating and DJ service that guarantee to uplift your celebration thousand times more than expected. Want to know more? Find details here. Planning an intimate wedding can be next to impossible, especially if it’s a Delhi wedding in discussion. For some couples who want to keep their wedding a low-key affair, Mantram Resort can be your ideal choice. From the best gourmet food to jaw-dropping gorgeous décor, this venue is everything you’re looking for to celebrate your union. If not your wedding, this venue is also suitable for engagement party or better yet pre-wedding festivities. Add a resort style theme to your celebration and you’re ready to floor your guests. Farmhouses seem to be the latest muse of soon-to-weds across Delhi and why not? After all, you get the entire venue to yourself where you can host a private celebration. One of the most popular farmhouses in GT Karnal Road is the National Farm. Taking you away from the bustling city, National Farm makes it possible for you to host a royal themed wedding in a serene ambiance. Its open lawn is perfect for a winter wedding. An indoor space is available for dinning purposes. Whatever theme ideas you may have for your wedding, their in-house décor provided by Guatam Tent excel in setting a dreamy atmosphere. Luxury is the word that defines SK Casa Lima, a famous banquet hall in G T Karnal road. With multiple options available, the venue makes it possible for you to host intimate to grand style wedding all under one roof. Their exotic interiors leave no room for additional décor, a great way to save on some moolah. ;) You can instinctively rely on the venue’s staff for offering scrumptious food and foot-tapping music. A name so romantic, there is no reason why you shouldn’t get married at the Valentine Resort and Motel. Offering the complete resort per wedding, gives couples an edge to host a private grand event knowing there won’t be any intruders spoiling all the fun. With in-house decorators well aware of each space around the property, you can let your imagination flow and they will help you execute in style. This banquet hall in G T Karnal road serves only veg cuisines; this maybe a turn off for guests, but on the bright side think about the little monies you will be saving and yet host an extravagant gala. Another resort of sorts, MH One resort is an ideal location if you’re intending to host a poolside celebration. Other than a banquet hall that can accommodate a small gathering for your pre-wedding festivities, their lawn area that includes a pool at the centre looks simply breathtaking in the evenings. An open breezy ambiance and a glistening pool to set the perfect romantic mood; what more could one wish for to celebrate their fairytale wedding? If you feel nothing less than a queen on your big day, let it show in your venue selection too. Mikado Hotels and Resorts has an outstanding history of hosting the most majestic and spectacular wedding affairs. With multiple banquet halls and an exquisite lawn available to host your colossal wedding, you don’t have to think twice before making Mikado your ultimate wedding destination. With superbly talented décor team replicating interiors of royal palaces, creating shamianas and wedding stage that adds a sparkle to your wedding show, this indeed will be a good investment. Equivalent to its name the Grand Dream’s Banquet could be your dream come true kind of venue. We say this confidently as their banquet hall’s breathtaking interiors infused with state-of-the-art lighting will sweep you off the floor. With interiors so exquisite, incorporate minimal décor and you’re wedding venue is all set to welcome your guests. Not only this, the venue provides all wedding related services in-house, so you don’t need to be running all around the city to get things working. Brilliant, isn’t it?! Chalo, shuru karo shaadi ki taiyyari!